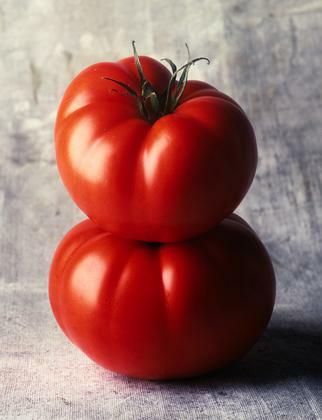 With produce at the height of its summer glory, it is the perfect time to make gazpacho. This “unrecipe” is a twist on the classic. It lies halfway between a cold soup and a bloody mary with the addition of an (optional) shot of icy cold vodka. Chop up an onion, a few cloves of garlic, a seedless cucumber, 4 big tomatoes and 2 red bell peppers. Add about 1/4 cup of olive oil and 1/4 to 1/3 cup of white balsamic vinegar, and puree in batches until it is “chunky smooth.” Blend in some tomato juice, until it reaches the desired consistency, about 1/2 to 3/4 of a large bottle. Season with a couple of big squirts of srirachia ( or any other hot sauce you like), and salt and pepper to taste. 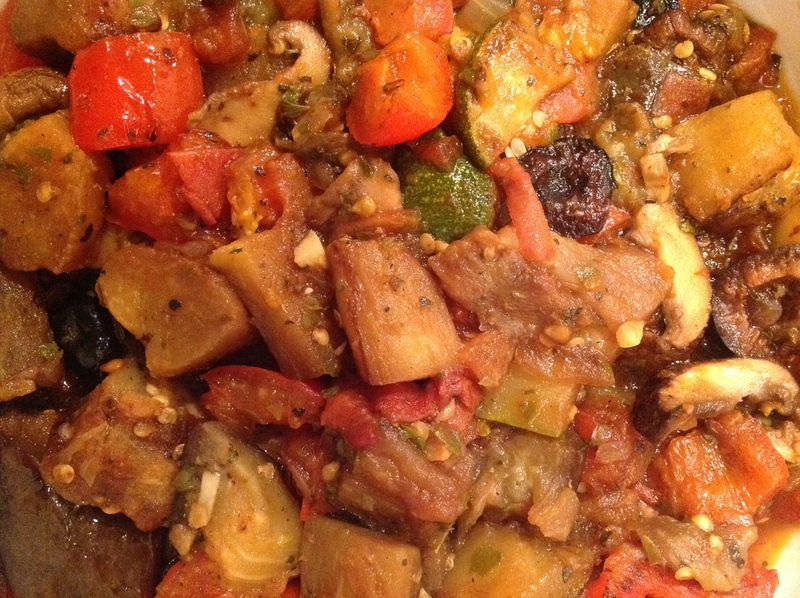 Chill for several hours or overnight to allow the flavors to develop. Taste and adjust seasonings if necessary. 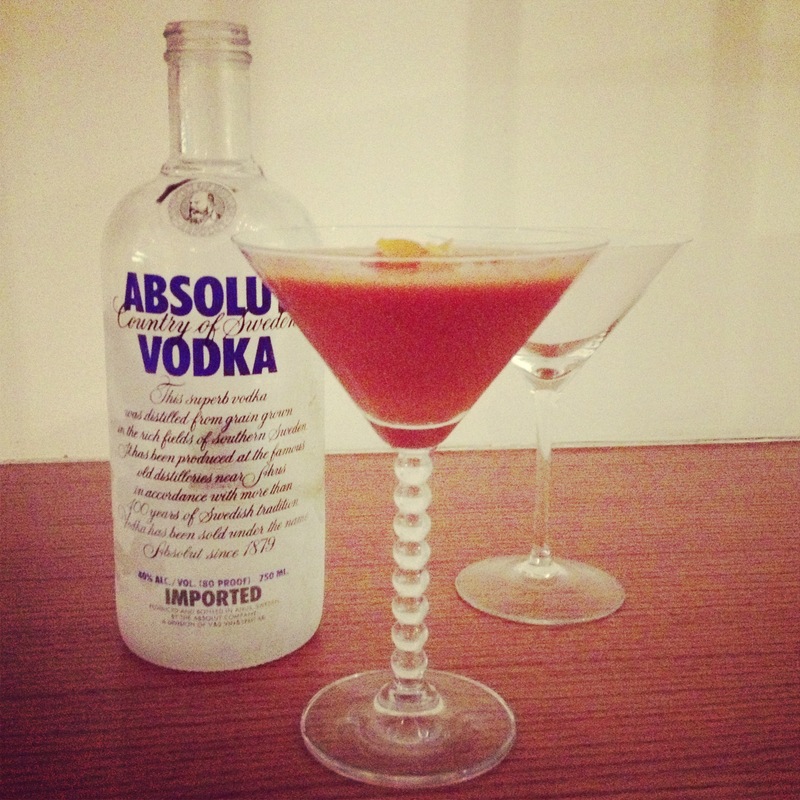 To serve: Ladle the gazpacho into a martini glass, and add a shot of icy cold vodka. Garnish with chopped cucumber and enjoy! Summer is finally here, and along with it, the family potluck picnic at my daughter’s school. By special request, I always bring this party pleaser that gets gobbled up instantly. Since I am traveling to Sweden tonight for a business trip and won’t be able to attend the picnic this year, I thought I would share this recipe, adapted from Ina Garten’s book “Barefoot Contessa Parties! “. Rub a little olive oil on 8 skinless, boneless chicken breasts and season them with salt and pepper. Roast in the oven at 350 degrees for about 25 minutes or so, until cooked through. Set aside to cool. When you are able to handle it, shred it or cut it into bite sized pieces. Blanch 1 pound of asparagus, cut into 2″ pieces in boiling water for about 3-4 minutes and rinse in cold water to stop cooking. Cut 2 red bell peppers into strips, and mix with the chicken and asparagus in a large bowl. For the dressing, whisk together 1 cup vegetable oil, 1/4 cup cider vinegar, 1/3 cup soy sauce, 1 tablespoon honey, 3 tablespoons dark sesame oil, 2 minced garlic cloves, 1/2 cup smooth peanut butter, 4 teaspoons coarse salt, and 1 teaspoon pepper. Toss the dressing with the salad, and sprinkle it with toasted sesame seeds and sliced scallions for garnish. tips: you can buy an already cooked chicken and shred that instead of cooking your own. I make the salad and dressing in advance, and mix it when I am ready to serve it, and then sprinkle the garnish on. That way it doesn’t absorb too much of the dressing and “muddle” the flavors.